By Sally Greenberg, NCL Executive Director I spent two days earlier this month at the Consumer Product Safety Commission (CPSC), listening to the pros and cons of setting a mandatory safety standard for table saws. Ten people every day – according the CPSC’s own data - have their fingers amputated in power saw accidents. 10 a day! I’ve wanted to push the CPSC for a mandatory standard ever since hearing a story on NPR in May of 2006. The inventors of a saw that senses an electrical current in a finger, as opposed to a piece of wood, and stops before serious harm is done, named their company SawStop. They also took the commendable step of petitioning the Commission and asking that it adopt a mandatory safety standard – that was in 2003. The petition was acted upon a few years later – the Commissioners voted to start the process toward a mandatory standard – but one of the three commissioners resigned and the process came to a halt. Even with a new and democratic administration in 2009, no action had been taken until now. 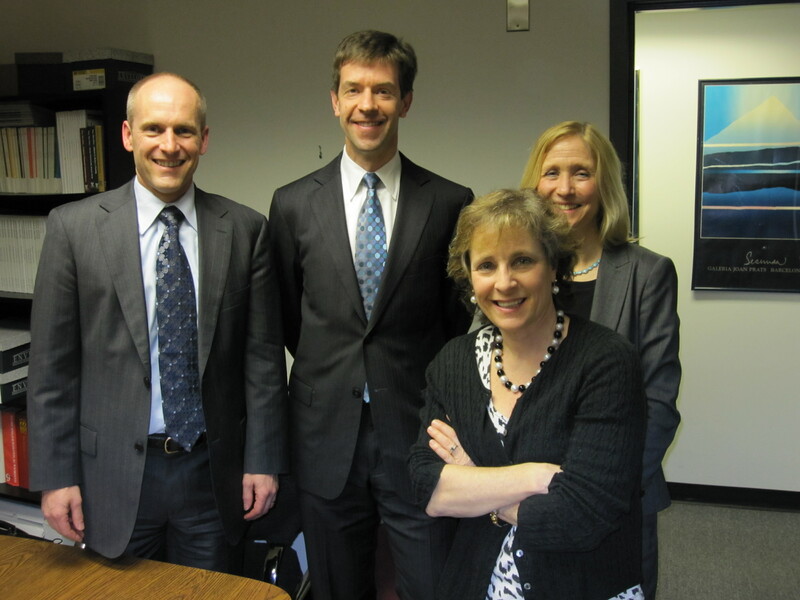 [caption id="attachment_1680" align="alignleft" width="300" caption="From left: SawStop inventors Stephen Gass and David Fanning, Pamela Gilbert, former Executive Director of the CPSC, and NCL Executive Director Sally Greenberg at NCL's office"] [/caption] NCL helped jumpstart the process with a letter to the Commission in late November of 2010, which was followed a few months later by an article in USA Today. The article got the attention of Commissioner Robert Adler, who hosted meetings this month with the Power Tool Industry, the trade group that is resisting adopting safety technology by arguing that it’s too expensive, that it’s unreliable, and that consumers don’t want it. Blah, blah blah. We’ve heard all that before – from the automakers, from lawnmower manufacturers and the swimming pool industry. Always an excuse for why they can’t do something that will prevent injury or save lives; it almost always comes down to putting profits before the safety of their customers. In any event, Commissioner Adler also met with the SawStop inventors themselves, and with one other inventor who says his technology will also provide a margin of safety. The SawStop manufacturers have also received the Chairman’s Commendation from the CPSC back in 2001. As NCL told USA Today, if you have a pattern of injury, a safety technology that can address it, and it's affordable, you should move toward a mandatory safety standard so that all parts of the industry comply. That also creates a level playing field so that no one manufacturer can get by on the cheap and NOT install the technology. We eagerly await the Commission’s further action on this after a busy series of meetings. 10 amputations a day and thousands more injuries every year, is an unacceptable toll when a ready fix is affordable, available, and waiting.